China is a nation that’s home to various fantastic, appetizing dishes. You know of Bō Cài Miàn (Spinach noodles), or the Peking duck. But you are still worried about what you can have when in China? You ‘ve heard of several horror stories and don’t want something like that to happen with you. Well, look at some amazing foods that you can definitely try when you are traveling to China. Spinach noodles is a traditional Chinese food item that is made from scratch in most restaurants and street joints. 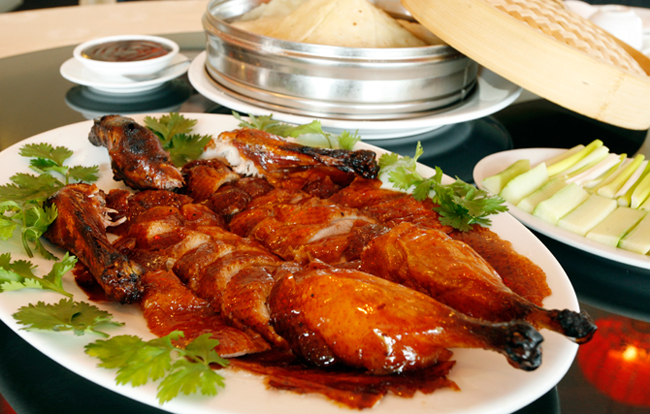 Beijing’s claim to fame the Peking Duck is a must try. It is considered one of the yummiest dishes in China. Tender duck pieces with crusty skin are served with a sauce. If you want authentic, then try having it enfolded in a pancake with scallions, cucumber and hoisin sauce. Sounds funny, isn’t it? But it’s a popular dish in the Sichuan province in China. 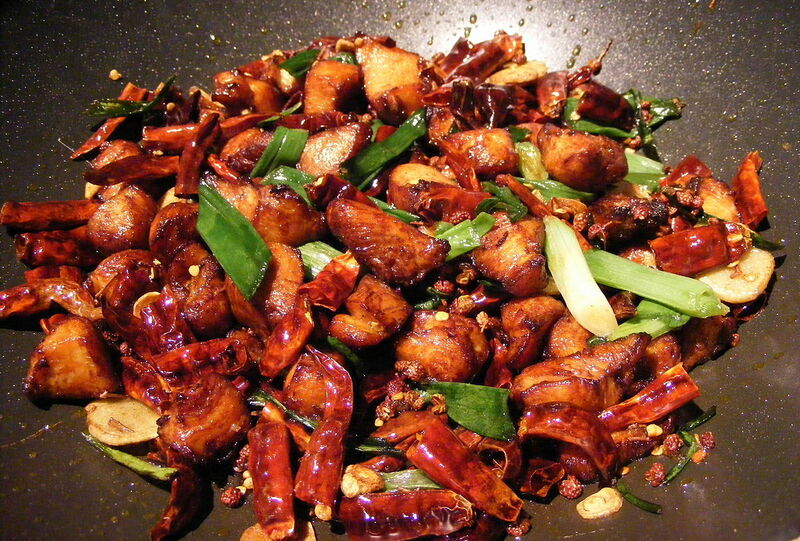 If you don’t mind the heat, then this spicy hot La Zi Ji is just what you need. Of course, it is not a burger you are so fond of having at home. But, this Chinese version is a delicious alternative you can try. 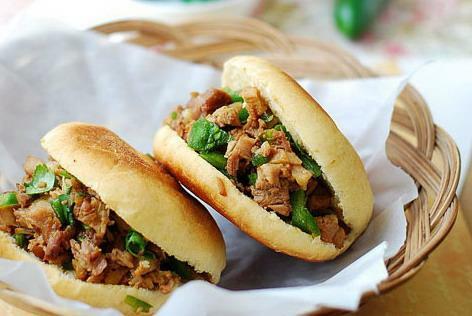 Originally found in Shaanxi province, this burger is pulled or shredded meat, most often it is pork stuffed in doughy flatbread buns. It’s now available pretty much everywhere in China. Fond of doughnuts or churros, then you should taste the Chinese version. Served as a garnish with rice congee, these You Tiao are also stuffed at times. 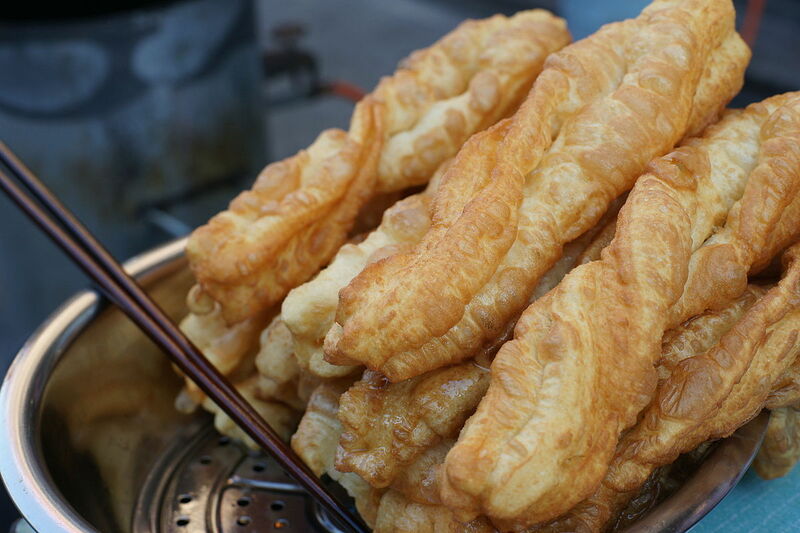 A typical breakfast dish, they are long strips of deep fried dough that are a little salty and are paired with soy milk or plain milk with sugar. 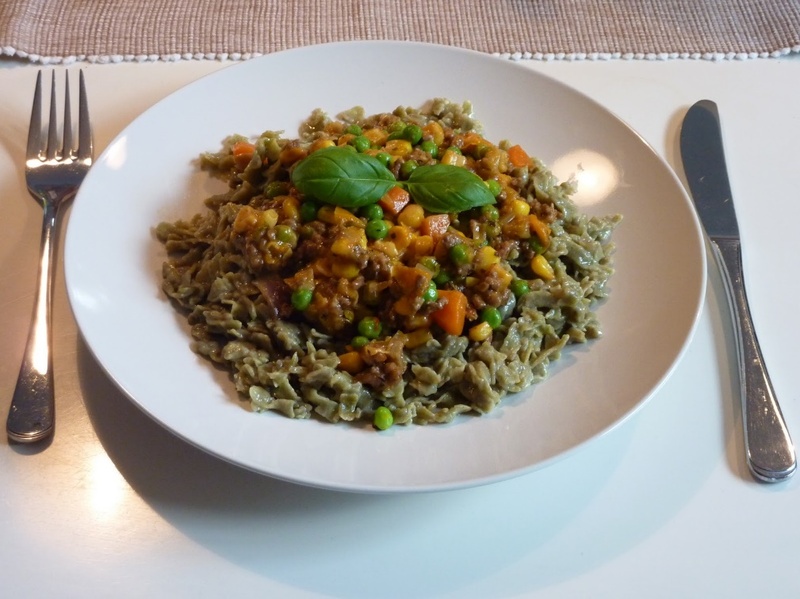 Remember, check for the ingredients in the dish if you are a vegetarian or don’t eat all types of meat. Doing so will help you maintain your preferences.